This is the first in an occasional series on developments and news in off grid and alternative energy relevant to radio amateurs. I’ll sort through the geek stuff so you don’t have to! If you come across a news item that would be in interest to Off Grid Ham readers, please send in a link and I’ll include it in the next edition. If it’s really compelling, I’ll dedicate an entire article to it. Keep those ideas coming…you have a voice in what appears on Off Grid Ham. Renewable Energy World news had an interesting piece that will be a real party pooper to those who (incorrectly) believe that solar is the end of the rainbow for clean energy. For starters, REW explains, while solar electricity itself is pollution free, the process of making solar panels is not. 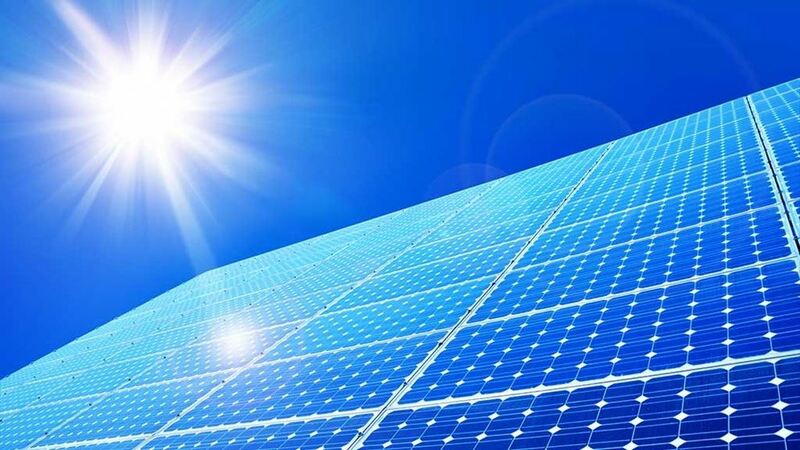 The manufacture of solar panels involves a lot of of toxic chemicals and energy. Most solar panel production occurs in China, which does not exactly have a stellar reputation for environmental standards. Not mentioned in the article is how all those solar panels will be disposed of when they reach the end of their service life. As solar quickly moves away from being a fringe technology, the “elephant in the room” will be what do with old solar panels. REW news also brought up the issue of all the water needed to keep solar panels clean. To an off grid ham with a small home system this may seem like fussing over minutiae. For commercial installations covering hundreds of acres, the amount of water needed to keep all those panels clean is not a minor side issue. It does not help that many solar farms are in the desert. Think about it: If you lived off the grid in the middle of New Mexico, how much water would you want to dedicate to cleaning solar panels? This news item from UC Berkley talks about how the cost of solar decreased from 2017 to 2018 and new installs increased. 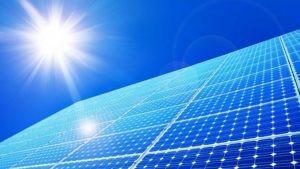 This trend goes against the industry implosion foretold by many when President Trump levied a tariff on imported solar panels last January. At the very least, the “problem,” to the extent it exists, has been overstated and/or more than offset by prices falling overall. The report goes on to clarify that while the industry as a whole is doing well, there is a lot of disparity between geographical areas and some projects have been cancelled as a direct result of the tariff. If you look past the politically biased clickbait headline on this follow up news article from Inside Climate News you’ll find a level headed analysis about how the solar industry in the USA is doing quite well post-tariff. Even the National Resources Defense Council, which does not consider itself a friend of Trump, concedes as much. The only unanswered question is: Would the industry be doing even better and prices be even lower if the tariffs had not been enacted? Before conservatives say I told you so! keep in mind that the tariff ls less than a year old and the end of this drama is not yet determined. For the here and now, it looks like the score is Trump 1, doomsday prophets 0. Amory Lovins, CEO of the Rocky Mountain Institute, presents a deep and wonky paper that discusses how seeking more and better renewable energy sources and methods may be taking the wrong approach. He suggests instead that energy savings be gained trough more efficient building and design practices. Lovins’ research is very lengthy and hard to follow, but his basic idea makes a lot of sense. He lives at a high elevation in Colorado in a home that collects enough off grid energy to grow bananas in a greenhouse in the middle of winter. I think it would be incredibly expensive & impractical to retrofit existing structures to conform to Lovins’ plan, but going forward this may be worth doing. Here is is a link to a short four minute video where Lovins explains his methods. By the way, Amory Lovins is not some way out there radical enviro-hippy. He’s very reasonable and his ideas would appeal to those interested in energy conservation applied to capitalism. It’s well worth your time to listen to what he has to say. There are dozens of articles and videos of his work posted online. Are batteries getting too good for their own good? Bloomberg News via Renewable Energy World suggests that batteries may be held back by their own progress. This seems counterintuitive, but the logic is not that crazy. Bloomberg observes that research is advancing so fast that new battery technologies are in danger of becoming obsolete before they can be brought to market. This phenomenon is known as stranded assets in financial industry parlance. Such a fast pace makes it harder to attract investors. After all, would you invest in a product that will likely be killed off before it can make a profit because something better is already in the pipeline? The article states that lithium batteries, currently the most advanced battery technology on the retail market, could be old school by 2025. Compare that to the original king, common wet cell batteries, which have not fundamentally changed for a over a hundred years. Meanwhile, lithium has still not fully taken hold and there is already talk of retiring the format. If you invested in Tesla, you might want to watch this this issue very carefully. I came across two articles that were either pathetic or funny, possibly both at the same time. They show how clueless & out of touch the news media can be. This is what we’re up against, folks. A New York Times article from last March is late appearing on my radar but it’s still a treat. This is really rich: A famously liberal news paper that has built an entire cottage industry around trash talking Federal energy policies is actually discouraging a reader from installing a home wind turbine. The NYT is accurate in saying that wind is not a good fit for everyone, everywhere; the article takes it to a ridiculous extreme by stating that a home wind turbine “needs” at least an 80 foot tower and a minimum $40,000 investment. Professionally installed home wind power may indeed require this level of commitment. I’ll give them that. But thousands of YouTubers and bloggers who have successfully built their own wind energy systems from inexpensive & common parts will find much amusement in the “all or nothing” attitude of this article. I do not expect the average New York Times reader to be as resourceful as the average Off Grid Ham groupie, but I’m disappointed that a big time legacy news outlet that has waaayyyy more reach & influence than my little ol’ blog didn’t at least offer other options. Another knee-slapper from Clean Technica descends into the absurd about…weed whackers? Yes this is a serious article, at least to them. The author goes on and on for numerous paragraphs reviewing various battery powered weed whackers and concludes, using a cultural reference to a Paul Simon song that no one under the age of 45 will catch, that it’s not enough to sell or give away your disgusting dirty old gas powered carbon-puker. The writer turns the weird up to 11 (extra credit if you know the origin of that rock-n-roll cultural reference) by declaring used gas powered “evil polluters” should be purged from the world. Don’t waste the two or three minutes it would take to read Clean Tecnica’s article. Just smile and get a chuckle knowing that there are people in the world whose lives are so whimsical that they have time to obsess over the environmental impact of weed whackers. It is a work in progress. The new Yaesu ft 818 has a longer lasting battery included. Hi Bob, thanks for your comment. A lot of hams mean well but they have screwed up priorities, i.e., do you really need 100 feet of coax in a “portable” kit? Have realistic goals and carefully think about what it takes to achieve those goals. Lovins has a good point, we are ridiculously wasteful with our energy usage. Proper design could drastically reduce the need for energy used for heating and cooling. A friend of mine put up an earth berm house many years ago, a nice sized, 3 bedroom with a 3 car garage, and even in the cold Wisconsin winters he can heat the place with a furnace that is little more than a 1,500 watt space heater. Better construction techniques and building design could cut the energy requirements for heating and cooling by 50 – 75%. And don’t get me started on signage… Every time I go through a town late at night I see hundreds and hundreds of signs lighting up the night sky advertising businesses that are closed, facing streets that are empty. Thousands of kilowatts of energy being used to advertise closed businesses to a nonexistent audience. …. Re. the NYT article on wind turbines, it doesn’t really surprise me that they published something like that. The problem with reporters for news media is that they don’t really understand the subject they’re writing about. They’re relying on information they’ve gleaned from “experts” who often are wildly biased, so while they may actually believe they are unbiased, they are relying on sources that are heavily slanted in one direction or another and they end up presenting information that is misleading like the NYT piece. Everyone reading this almost certainly knows that small wind turbines can be very useful as an energy source. Heck, I know guys who cobbled together homebrew battery charging systems out of little more than a handful of old car parts, some gearing and some fan blades. I think we’re also talking apples and oranges here. You and I and your other readers are interested in minimalist systems for charging batteries to power energy efficient systems, while I suspect the NYT piece was more geared to supplying the full energy needs for a modern, energy intensive home. If that was the case then yes, it would be difficult to do that with a wind turbine system without a huge expense that probably isn’t worth it. If everyone adopted Lovins’ ideas I guess we could cut energy use across the board at least 10%-15%, maybe more, without really giving up much in terms of comfort, convenience, or lifestyle. For example, the company I work for spent $30,000 on a hybrid car for me to make my rounds in but they will not spend $10 to replace the weather stripping under a door. The resulting crack under the door is damn near big enough to drive the hybrid car through! I’m sure Lovins would agree that corporate “virtue signaling” mentality gets us no where. As for the NYT article, what can I say? It’s more or less what one would expect from an out of touch media outlet that really has no concept of how “regular people” live. Your comment about the company not replacing weather stripping doesn’t surprise me at all. Little things like that add up, though. Speaking of saving money, you might want to keep an eye on woot.com. That’s Amazon’s discount/closeout site. You never know what they’re going to have pop up over there, but occasionally they do have things like LED lights, batteries and occasionally even solar charging systems pop up at half the regular retail price or less.